Following the hypnotic grooves of Audio Mainline’s 2015 Soma EP. 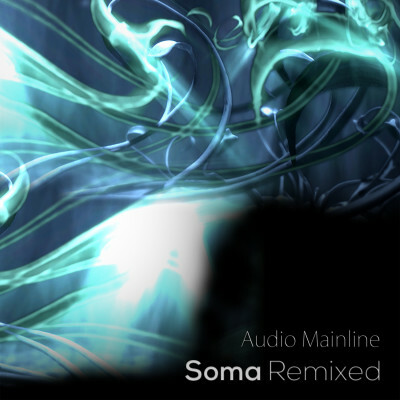 Soma Remixed takes us on an evolved sonic experience re-worked in the imagination of producers from neighbouring genres. Evolving (Robin File Casa Negra Mix) encapsulates the perfect cinematic soundtrack. Deep bass and a vast spectral atmosphere, huge ambient pads and analogue synths accompany a beautiful and haunting Sanskrit mantra. Known for hypnotic grooves and cinematic sounds. Audio Mainline is an evolving collaboration under the creative guidance of musician and producer Hal FX. Mixing live instrumentation with ambient electronica, location recordings and an ongoing stream of guest vocalists and musicians. Guest producer Robin File is known from Audioweb and sessions with Finley Quaye, Badly Drawn Boy and Congo Natty.